An Englishman in Colombia: Failure turned to Success! 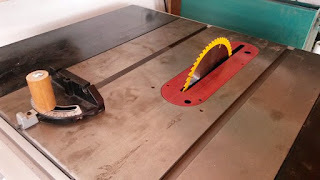 Following yesterdays post, I posted about the problems on a woodworking forum I moderate on, and the Boss...John Heisz, who is now a good internet woodworking friend, gave me some advice, and I decided to try it. 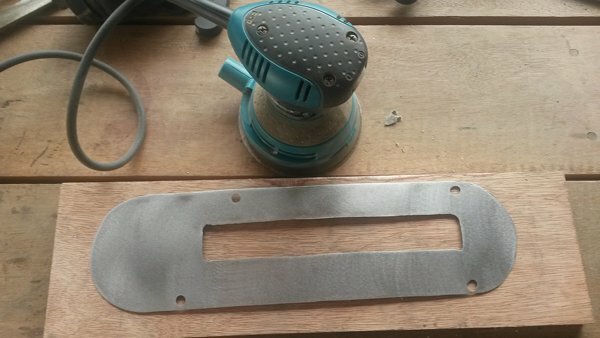 Fortunately I hadn't binned the metal plate, so the first job was to cut the slot for the Dado Blade, I decided that it could be quite a bit shorter than the slot on my normal insert, because the dado is only a 6" blade, and wont need much height, this gave the metal plate more substance. 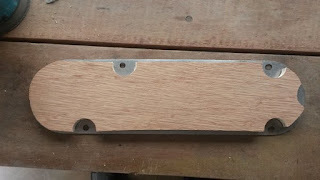 I cut it, by drilling the corners, then using my jigsaw, then drilled the holes for the levelling screws, after which I gave it a good sanding. 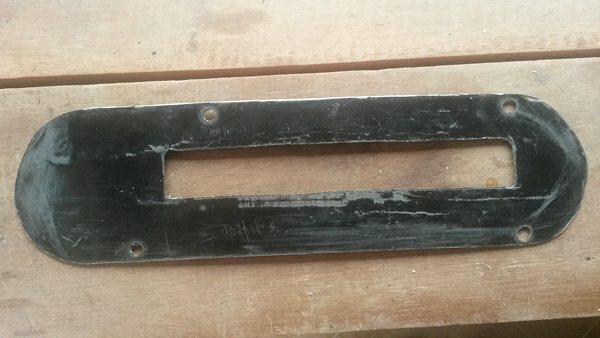 The old paint was flakier than the metal was weak, so it had to be completely stripped off. That done, I had to make a support, because the metal was not thick enough to support itself, I decided to do this out of 1/2" plywood, but before I cut out the shape, I cut the areas where the levelling screws and magnet protrude from the saw frame, using a forstner bit, and then cut out the support on the bandsaw. This was then epoxied to the metal plate, and left to dry. 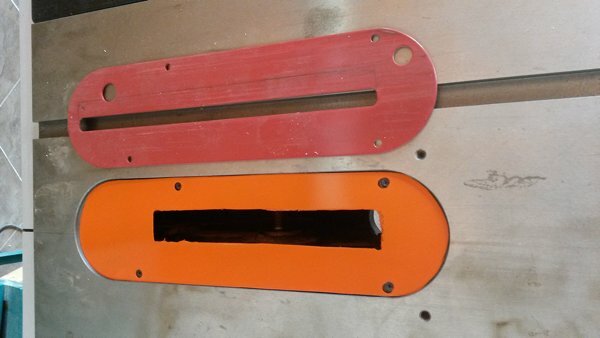 A few hours later I returned, and gave it a coat of orange paint. Once that was dry, and the fit tried out in the table-saw, it was job done. Whether it will last, only time will tell, but it fits, and with the wood backing, does not flex. 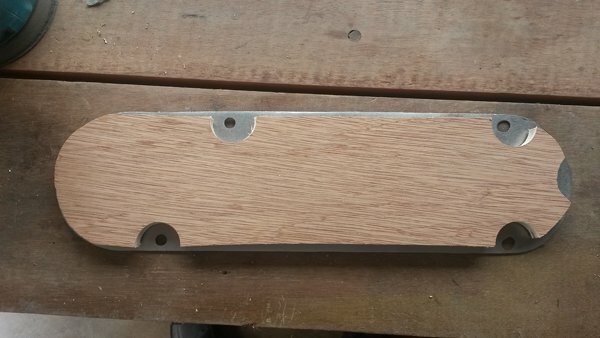 So having had to take my blade off to make the insert, I decided to take the opportunity to fit a new blade, with a thinner kerf, this will hopefully give me better quality cuts in the future.